With the holidays just around the corner, it’s safe to say that many of us are already brainstorming what gifts to cross off the list. If you’re feeling short on time or ideas, fear not. The Little Nell has you covered with some of our favorite uniquely Aspen items. It’s safe to say that these gifts will not fail to please, and just may blow all expectations out of the water. A trip to Aspen is all about sharing a one of a kind experience with family, friends and loved ones. 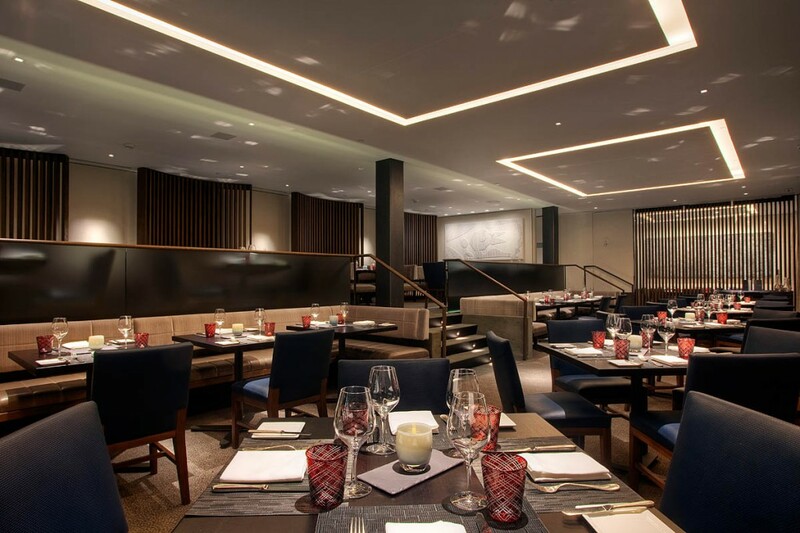 From an intimate dinner at element 47 to sharing truffle fries at Ajax Tavern, every moment feels special. Both spots also have gift certificates available, perfect for the person who has everything or a neighbor whose preferences you don’t know that well! If you’re looking for a family experience or gift for your spouse, The Little Nell has some very special opportunities that are only open to our guests. For the snow-obsessed, there is our Snowcat Academy. 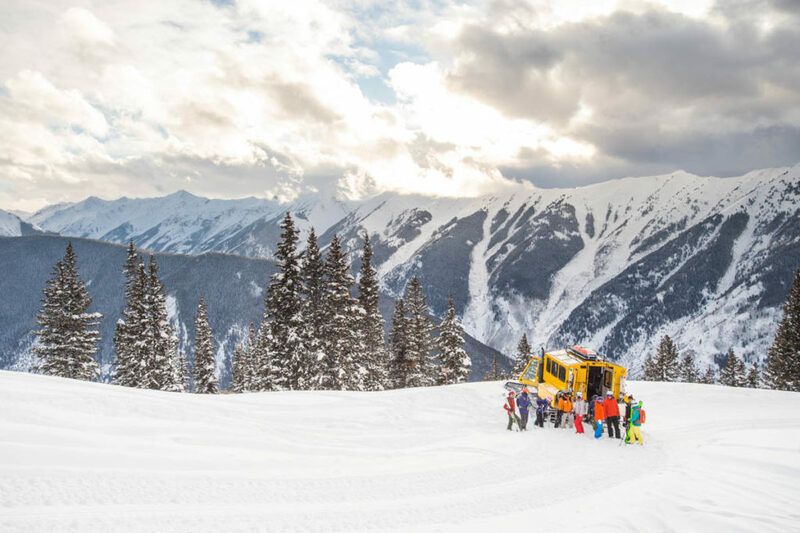 Take off your ski boots, but stay bundled up and learn how to operate the massive “Bison 360” model Prinoth snowcat that provides Aspen Mountain with fresh corduroy every morning. For kids (and adults who aren’t ready to take the controls), there’s also the opportunity to simply ride in a “cat” and see the mountain from a totally different perspective while the grooming takes place after dark. It’s easily possible to make an Aspen vacation last a lifetime (beyond the memories you will make). Take your pick of any number of locally designed, made, and inspired gifts. Corbeaux Clothing is something that you’ll see on and off the slopes. The cozy, yet technical, base-layers are designed by local pro skiers Darcy Conover and Adam Mozynski. The items are made in Colorado and Minnesota, and employ green fabrics made of recycled plastic water bottles. The colors are vibrant, feature UPF 50 protection, and are put to the test in all elements by the pros. Find them online at https://corbeauxclothing.com/ and at a variety of Aspen retailers including Hamilton Sports, the Ute Mountaineer, and Radio Board Shop. When it comes to making memories, you can also think about booking local photographer Olivia Siegel to capture photographs of your family. As a longtime local, Siegel has scouted locations throughout the valley and will customize her shoots to your needs. Siegel’s one of a kind holiday cards are also a great compliment to any well-wrapped package. The Little Nell is also about to announce photography workshops for the winter of 2018/19 with a renowned teacher. We’ll post once this is official. As a shopper, particularly a last minute holiday shopper, The Little Nell’s Boutique is a dream come true. Bespoke Cuffs are a top seller; emblazoned with a variety of words: “Aspen,” “Ajax,” “Ski,” “Love,” they also come printed with “The Little Nell” on the inside of the cuff. Made in sturdy, yet malleable, brass, it’s not possible to buy the wrong size! Additionally, The Little Nell Boutique is the only local retailer that features Jamie Dietrich’s one of a kind designs. 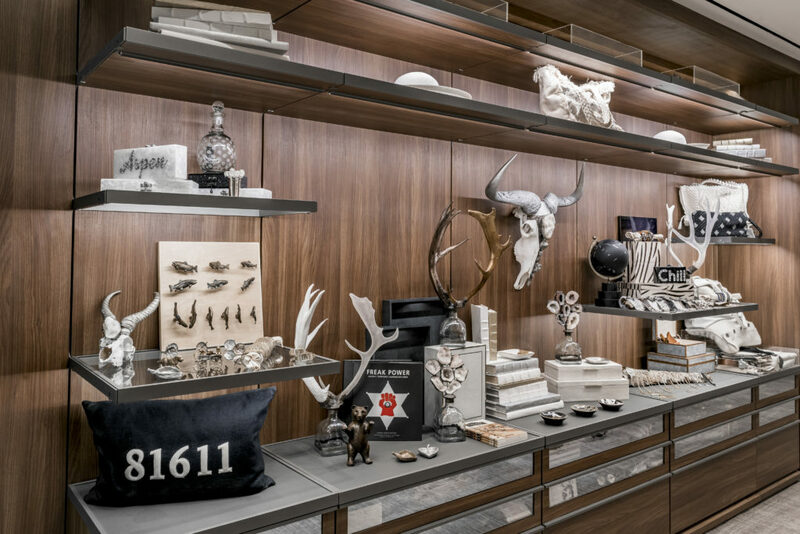 Dietrich’s creations employ found and recycled objects including wildebeest skulls, and Patron bottles adorned with antlers that are the perfect “mountain modern” accent to any room. If a wildebeest skull won’t quite fit in your suitcase, shipping can be arranged, but there are smaller items as well. A favorite commemorative item could also be a Zalto Burgundy glass etched with an Aspen leaf. Tap one of our sommeliers for a recommended bottle, curl up by the fireplace, and cheers to a successful gift buying expedition!